Welcome to the Carver Toyota Service Department! We are proud to offer genuine Toyota service and repair to drivers from all over Indiana, including Columbus, Bloomington, Greensburg, Greenwood, Shelbyville, Franklin, Bedford, Flat Rock and Seymour. From oil changes to major repair, there is no task too big or too small. We are here for whatever you might need! While we are passionate about the Toyota brand, we also work on a variety of other vehicle makes and models. Most importantly, we use the best OEM parts. 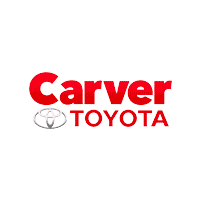 There are many mechanics and repair shops in Indiana, but why do Carver Toyota customers continue to choose us for all their automotive needs? It truly comes down to our fair prices and VIP service. Whether you visit us for routine maintenance or major repair, you can always expect world-class service. But what does that look like? It’s fast, efficient service and repair done right the first time for a fair price. Most importantly, our team is here to help you keep things business as usual with our variety of complimentary services, including a shuttle, customer pick-up and drop-off and loaner vehicles. No matter what repair or maintenance your vehicle might need, our team is here to help. Our state-of-the-art facility is staffed by Toyota factory trained and certified service technicians, all with the industry experience to take on even the most difficult projects. Most importantly, our team always uses the best, highest-quality OEM parts. In fact, having the right parts on hand is so essential that we have built a huge selection of OEM parts that we also sell to the public. Have an automotive project of your own and need a particular part? Contact our team and we will help you get the part you need for a fair price. We also offer installation! We hope to see you soon!